Make your awesomeness known… Advertise with us! 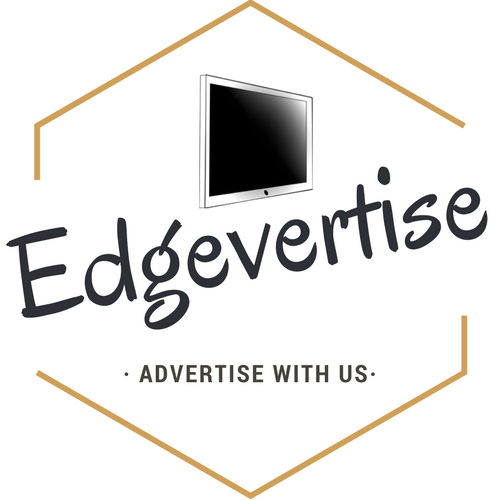 Edgevertise is another exciting add-on to The Edge Club, and we now specialize in advertisements that are affordable and provide great exposure for your business or product. 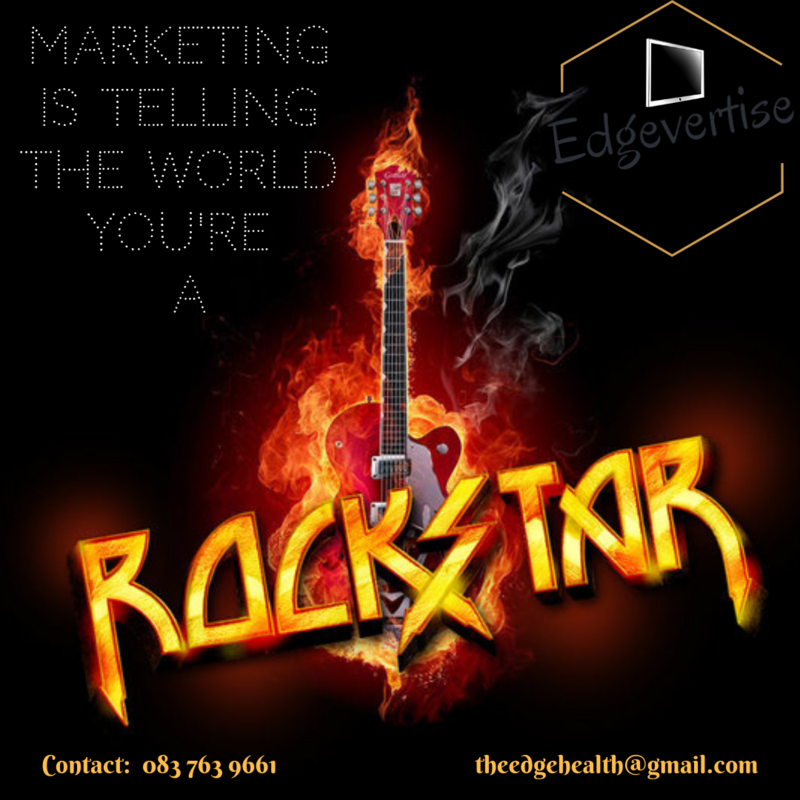 We provide advertisement in and around The Edge Health & Adventure club (gym) and around town, on our Edgevertise Marketing Systems (televisions), Social Media pages and more. Creativity and originality is our passion, so why not let us create your very own unique advertisement for you and your company too?! 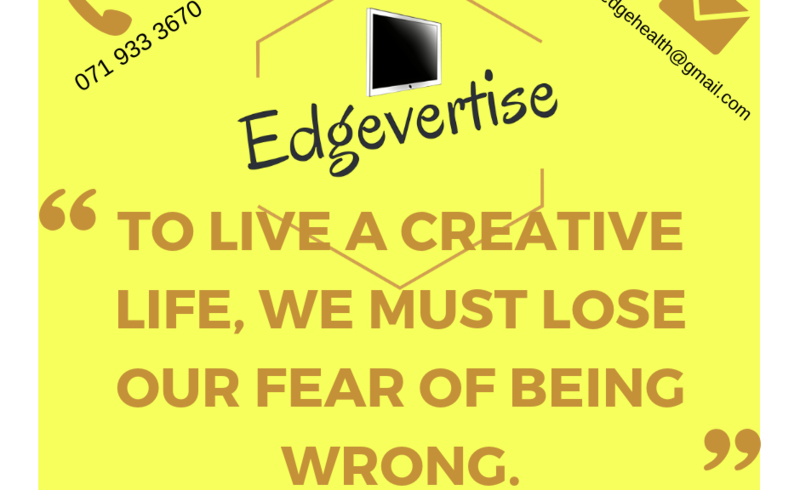 A quotation will be worked out for the specific form of advertisement you wish to make use of in form of mirror advertisement, boards, posters etc. all depending on size, content etc. 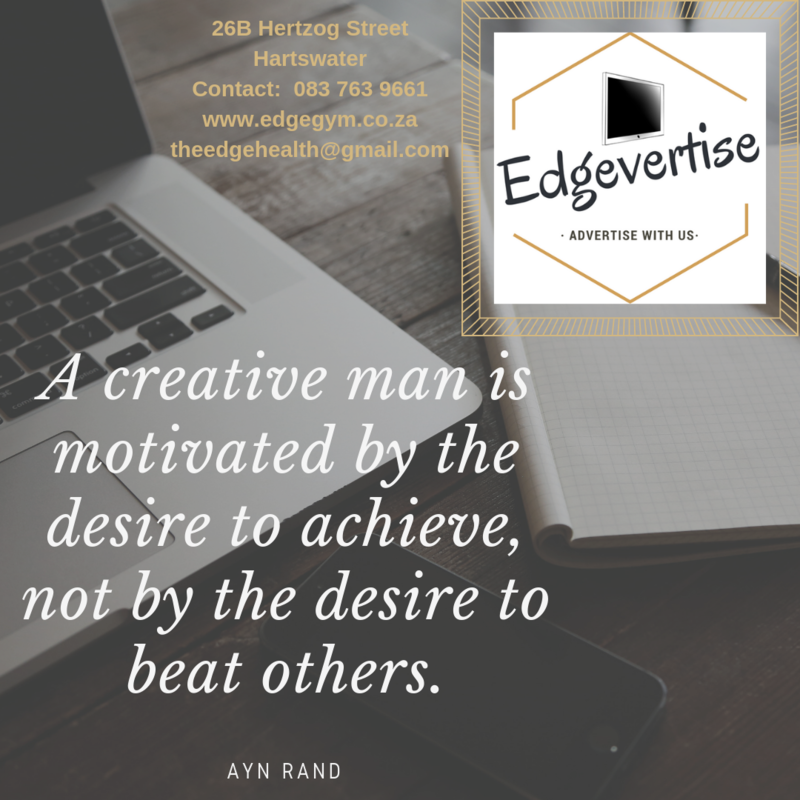 We currently have a total of 20 televisions / Marketing Systems, 5 within The Edge Health & Adventure Club (gym) and 15 at selected local businesses, where your +- 1 minute long advertisement slideshow / video content will display numerous times throughout the day. Plus! 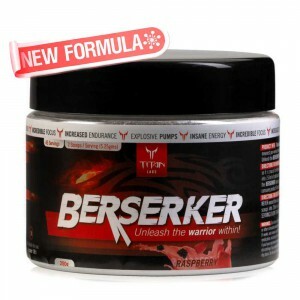 Free added advertisement on all our social media pages & groups with over 3000 followers. A once-off Design fee of R500 will be charged for the creating of your advertisement slideshow / video. Thereafter you can swop slides, make changes to your video, ad specials etc. Own designs can also be supplied at no extra charge.